I consider myself a thinker and not a feeler. I think about my feelings and at times act on them without thinking. Sometimes I think without feeling and allow myself to feel without thinking. I think I should feel more but at the same time, I feel that I should think more. But I am a thinker and not a feeler. 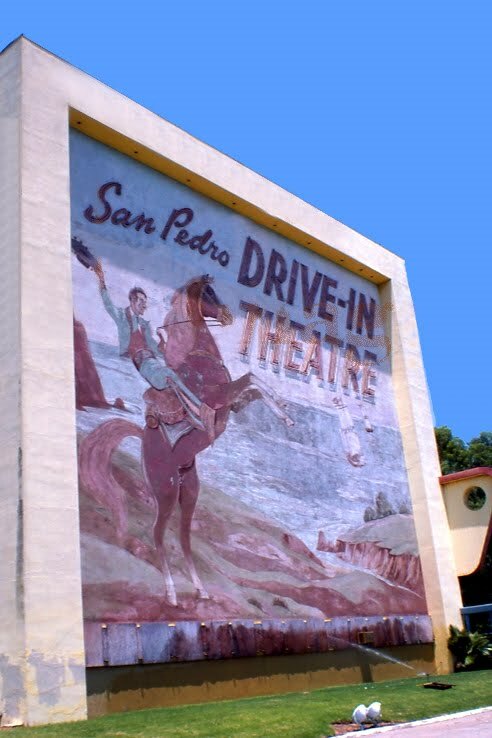 Drive-ins had already been around 15 years by the time the San Pedro Drive-in opened. The first drive-in opened on June 6, 1933 in Camden, New Jersey. Admission was $0.25 per person or $1.00 for a full car load! Three main speakers were mounted next to the screen that provided sound. The sound quality was not good for cars in the rear of the theater or for the surrounding neighbors. 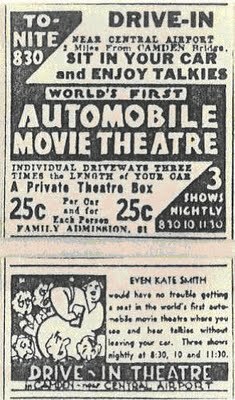 California's first drive-in movie theatre opened in June of 1938 (there were less than 15 "auto theaters" in all of America at that point). 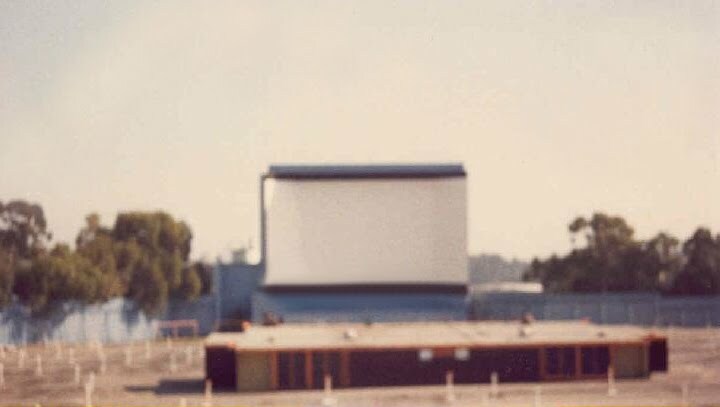 Within just ten years, another 43 drive-ins had opened up and California was on its way to becoming one of the top drive-in states. Between 1948 - 1958, the number of drive-ins in the state of California more than quadrupled and, while the number of operating drive-ins in most states had peaked in the late 1950's, the number of drive-ins in the state of California kept climbing through the 60's, with more than 220 in operation by end of the decade. Since that time, the number of drive-ins operating within the state has declined by 90%. 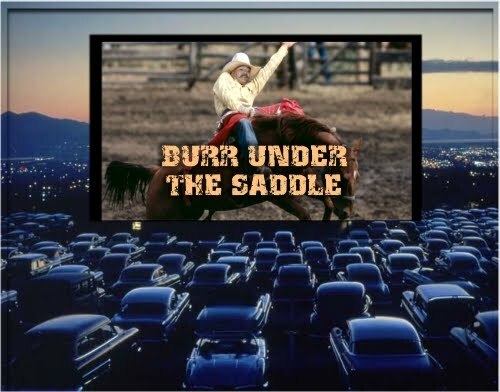 Still, California is one of the Top 5 Drive-in states and more than 20 remain open. The largest drive-in theater in patron capacity was the All-Weather Drive-In of Copiague, New York. All-Weather had parking space for 2,500 cars, an indoor 1,200 seat viewing area, kid's playground, a full service restaurant and a shuttle train that took customers from their cars and around the 28-acre theater lot. The two smallest drive-ins were the Harmony Drive-In of Harmony Pennsylvania and the Highway Drive-In of Bamberg, South Carolina. Both drive-ins could hold no more than 50 cars. 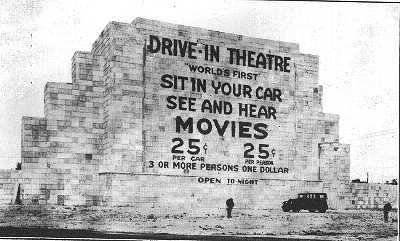 An interesting innovation was the combination drive-in and fly-in theater. 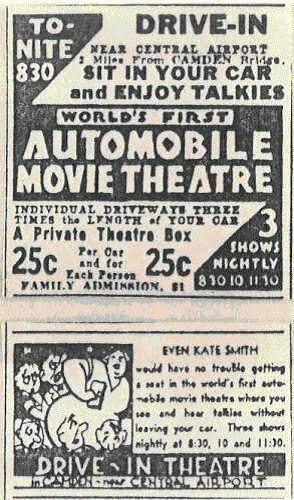 On June 3, 1948, Edward Brown, Junior opened the first theater for cars and small planes. Ed Brown's Drive-In and Fly-In of Asbury Park, New Jersey had the capacity for 500 cars and 25 airplanes. 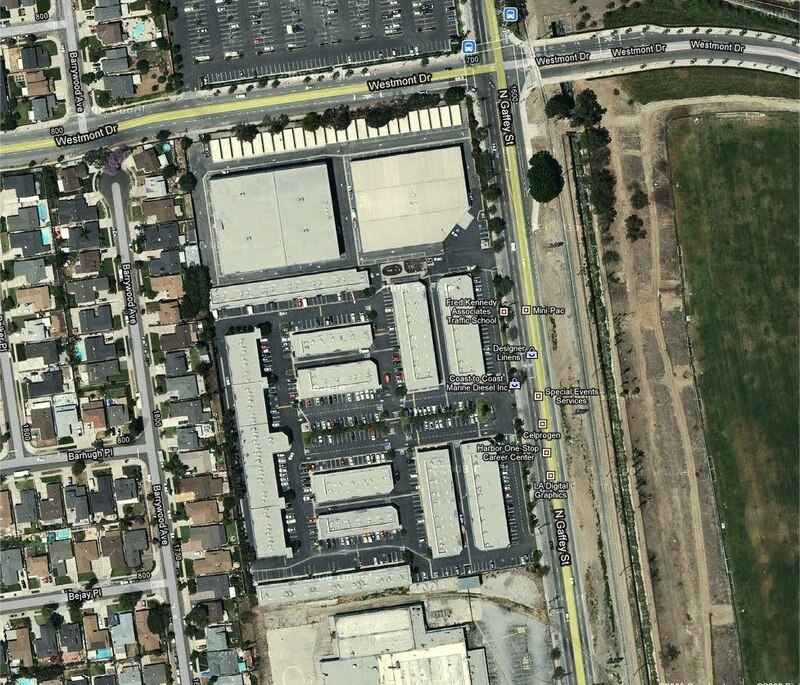 An airfield was placed next to the drive-in and planes would taxi to the last row of the theater. When the movies were over, Brown provided a tow for the planes to be brought back to the airfield. The drive-in theater movie experience cannot be beat. Hey, this is the digital age. So many things that have faded over time reemerge disguised as a "new idea" and marketed to those who never experienced the "old idea" that is being revived by this "new idea". 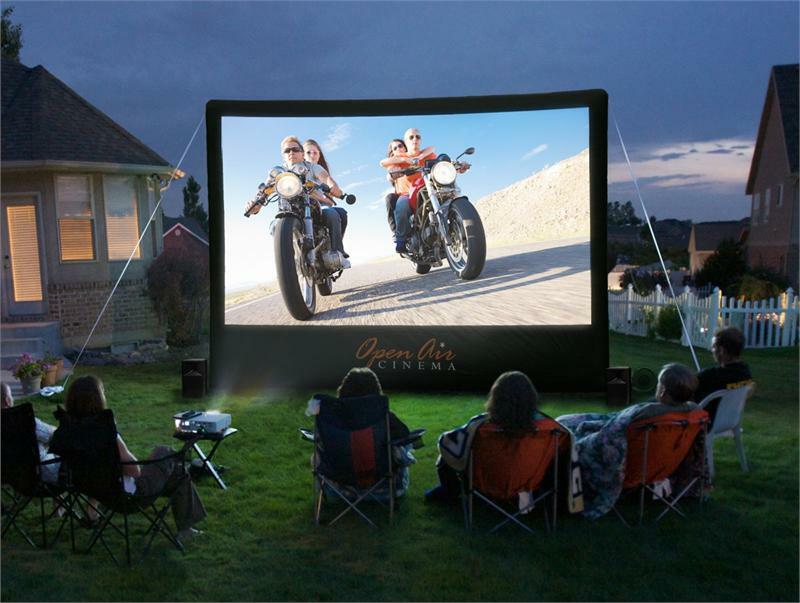 Introducing the Open-Air Cinema! Old idea in new packaging! The only thing missing is all of the other people you can meet. 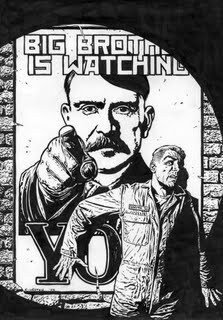 Of course, nowadays, in this "chicken little" era, a lot of us are afraid of "the other people". Somehow, watching a large TV in my backyard doesn't do it for me. It lacks the "unique experience" you have at the drive-in. For those of you who have never experienced the Drive-in atmosphere, it's quite a unique experience that has all but disappeared. Seek and you shall find.......! 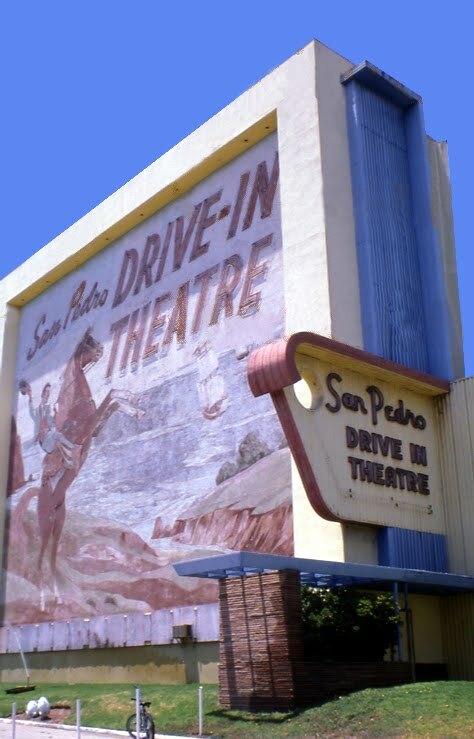 When I was a kid, I remember my dad taking us the San Pedro Drive-In. This was usually on a Friday evening after he got off work at Douglas Aircraft in Long Beach. My mom never went with us because she also worked at Douglas but on the swing shift. The routine was to get in the car, and go to Brown's Liquor on the NW corner of 1st and Gaffey (Currently "Hello" Liquor). 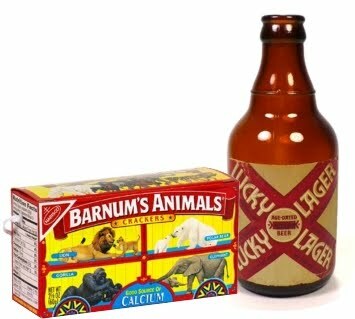 There my dad would buy a 6 pack of Lucky Lager for himself and Barnum and Baily Animal Crackers for all of us. If it was a good movie, there was a line at the pay booth. If not, we would get in quickly. They always showed two movies with one or two cartoons between them. After the first movie, all of the perimeter lights would come on (like a night game at Daniel's Field) for the intermission. Most of the time we would go to the grass area at the foot of the screen and play on the swings. 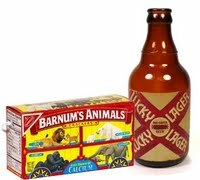 Sometimes we would go to the snack bar but that didn't happen very often because, after all, we had Animal Crackers and after having paid 10 cents for each box, we were expected to eat them. Other times, we would stay in the car and watch the "battle of the spotlights" on the screen. We knew that the intermission was almost over because the lights would dim. Hopefully, you remembered where your car was. After the intermission came the cartoons which was followed by the second movie. It was usually not as good as the first so it was common to see a good number of cars putting away their speakers and leaving. When all the movies had played and it was time to leave, we would wake my dad, he would put the speaker back on the post, most of the time, and we would head home. As we traveled south on Gaffey and crossed Channel, my dad would hand the empty six pack to my older brother, Pete, who was riding shotgun. It was his job to dispose of it. 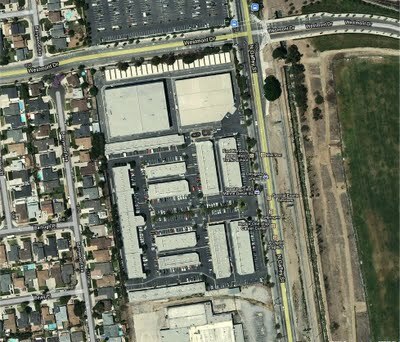 Pete would roll down the window and as we made the turn from Gaffey St. onto Summerland Ave., Pete would fling the 6 pack out of the window into the empty lot on the corner (There were no littering laws at the time). After every throw, we would analyze the quality of his throw and compare it to previous throws (distance, height, spin and how many bottles left the container before hitting the ground). There are apartments located there now and I happen to know that under those apartments are a whole bunch of empty Lucky Lager bottles courtesy of my dad. The San Pedro Drive-In opened on June 6th, 1949 so in was not at all "old" when my dad would take us in 1953 and on. It had enough spaces for 831 vehicles. That's alot when you condider that if each vehicle had 4 people, and at intermission all of them go to the snack bar, you would find 3,324 people inside getting snacks. Even if only 10% go to the snack bar at the same time, we're talking about 332 people which is still alot. As the photo shows, it had a distinctive painting on the back side of the screen and the name was illuminated by neon lights. It dipicts a hacienda "Don" or caballero on horseback waving to approaching ships which is representative of San Pedro's history as Rancho San Pedro. 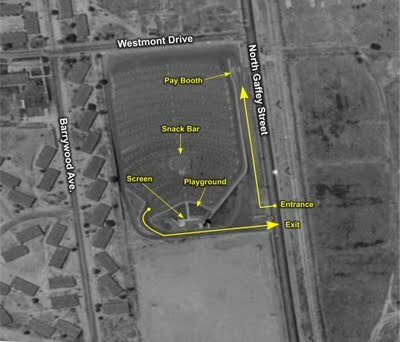 It was located at the SE corner of North Gaffey Street and Westmont Drive and the map below shows what it looks like today. View of screen and snack bar. I ride my bike past this area about 4 times per week and can't help but reminese about old days gone by. I don't know exactly when the Drive-In was demolished but it, along with that Friday Night Community environment, is long gone. Nothing will ever replace the Drive -In.......or maybe there is something. After all, all new ideas are variations and extensions of some pretty good old ideas. The Mayor of Watford (Great Britan), Dorothy Thornhill, and her Council have just banned parents from watching their own children at two council play areas in the town. I myself can't imagine that anyone would stand for this. Granted, some parents (mom or dad) may be of the type that are not to be trusted but banning all parents from watching or playing with their kids is unacceptable to me. Rather than focus in on those who need a watchful eye, everyone not only gets "punished" but more importantly, get treated as though they are dangerous to their own kids. I suppose that this is a good example of the government assuming parental responsibilities. The idea of this really pisses me off. "Terrible"? As this edition of Whistleblower shows, there is nothing wrong – and a very great deal right ? with boys and masculinity. As maverick feminist Camille Paglia courageously reminds her men-hating colleagues, masculinity is "the most creative cultural force in history." 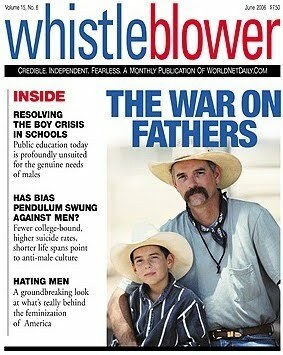 "Has the bias pendulum swung against men?" Fewer college-bound, higher suicide rates, shorter life spans suggest males are getting the shaft. "Paternity fraud rampant in U.S.", showing how 30 percent of men assessed for court-ordered child support are not actually the fathers of the children receiving the support. After being blasted to atoms in some squalid cave in Afghanistan - we're not sure when, we're not sure where - the constituent elemental parts of Osama bin Laden are reassembled in another place for his expected reward. The landscape is beautiful: rolling hills, lush green valleys and rushing streams. Horses graze in meadows; the soft blue ridges of faraway mountains can be seen. Deep green forests are seen nearby. It is truly God's Country, and bin Laden smiles contentedly. Just then, in a flash of light, appears George Washington - a terrible scowl upon his face. Balling up a mighty fist (Washington was a big man), he smashes it into bin Laden's nose, compressing cartilage and breaking bone. Another great blow easily fractures his jaw. "Aie!" cries bin Laden, but before he can say anything the Father of Our Country disappears. Bin Laden sees another flash of light through tears streaming from his eyes. It is Thomas Jefferson, the Author of Liberty, holding a solid oak stick. A look of fury upon his face, Jefferson sends the stick into bin Laden's rib cage a number of times, cracking ribs. "Aiie! Aiie!" gasps bin Laden, but, as before, Jefferson disappears in a flash. In great pain, and clutching his ribcage, bin Laden sees a truly awful sight: General Thomas "Stonewall" Jackson, his blue eyes afire, holding a loaded musket. "Blam!" A .58 caliber lead minie ball shatters bin Laden,s right kneecap. As before, Jackson disappears. "Aiie! Aiie! Aiie!" cries the agonized bin Laden, collapsing to the ground. "This is not what I was promised! This is not what I was promised!" Just then another flash of light, and an angel appears, holding a clipboard. Bin Laden, seeing this, demands of him, "I have caused the deaths of thousands of hated Americans! I have done the will of God! Where is my reward?" The angel, looking at the clipboard, calmly responds, "It says here you get twenty-four Virginians. What did you think we said?" A Message To Garcia, was written one evening after supper, in a single hour. It was on the 22nd of February, 1899, Washington's Birthday: we were just going to press with the March Philistine. The thing leaped hot from my heart, written after a trying day, when I had been endeavoring to train some rather delinquent villagers to abjure the comatose state and get radioactive. The immediate suggestion, though, came from a little argument over the teacups, when my boy Bert suggested that Rowan was the real hero of the Cuban War. Rowan had gone alone and done the thing - carried the message to Garcia. It came to me like a flash! Yes, the boy is right, the hero is the man who does his work - who carries the message to Garcia. I got up from the table, and wrote A Message To Garcia. I thought so little of it that we ran it in the Magazine without a heading. The edition went out, and soon orders began to come for extra copies of the March Philistine, a dozen, fifty, a hundred, and when the American News Company ordered a thousand, I asked one of my helpers which article it was that stirred up the cosmic dust. "It's the stuff about Garcia," he said. The next day a telegram came from George H. Daniels, of the New York Central Railroad thus, "Give price on one hundred thousand Rowan article in pamphlet form - Empire State Express advertisement on back - also how soon can ship." At the time Mr. Daniels was distributing A Message To Garcia, Prince Hilakoff, Director of Russian Railways, was in this country. He was the guest of the New York Central, and made a tour of the country under the personal direction of Mr. Daniels. The Prince saw the little book and was interested in it, more because Mr. Daniels was putting it out in big numbers, probably, than otherwise. In any event, when he got home he had the matter translated into Russian, and a copy of the booklet given to every railroad employee in Russia. Other countries then took it up, and from Russia it passed into Germany, France, Spain, Turkey, Hindustan and China. During the war between Russia and Japan, every Russian soldier who went to the front was given a copy of A Message To Garcia. The Japanese, finding the booklets in possession of the Russian prisoners, concluded it must be a good thing, and accordingly translated it into Japanese. And on an order of the Mikado, a copy was given to every man in the employ of the Japanese Government, soldier or civilian. Over forty million copies of A Message To Garcia have been printed. This is said to be a larger circulation than any other literary venture has ever attained during the lifetime of an author, in all history - thanks to a series of lucky accidents. When war broke out between Spain and the United States it was very necessary to communicate quickly with the leader of the Insurgents. Garcia was somewhere in the mountain vastness of Cuba - no one knew where. No mail nor telegraph message could reach him. The President must secure his cooperation, and quickly. What to do! Some one said to the President, "There's a fellow by the name of Rowan will find Garcia for you, if anybody can." Rowan was sent for and given a letter to be delivered to Garcia. How "the fellow by the name of Rowan" took the letter, sealed it up in an oil-skin pouch, strapped it over his heart, in four days landed by night off the coast of Cuba from an open boat, disappeared into the jungle, and in three weeks came out on the other side of the Island, having traversed a hostile country on foot, and delivered his letter to Garcia - are things I have no special desire now to tell in detail. The point that I wish to make is this: McKinley gave Rowan a letter to be delivered to Garcia; Rowan took the letter and did not ask, "Where is he at?" By the Eternal! there is a man whose form should be cast in deathless bronze and the statue placed in every college of the land. It is not book-learning young men need, nor instruction about this and that, but a stiffening of the vertebrae which will cause them to be loyal to a trust, to act promptly, concentrate their energies: do the thing - "Carry a message to Garcia!" General Garcia is dead now, but there are other Garcia's. No man who has endeavored to carry out an enterprise where many hands were needed, but has been well-nigh appalled at times by the imbecility of the average man - the inability or unwillingness to concentrate on a thing and do it. You, reader, put this matter to a test: You are sitting now in your office - six clerks are within call. Summon any one and make this request: "Please look in the encyclopedia and make a brief memorandum for me concerning the life of Correggio." Is he dead? Is there any hurry? Sha'n't I bring you the book and let you look it up yourself? And I will lay you ten to one that after you have answered the questions, and explained how to find the information, and why you want it, the clerk will go off and get one of the other clerks to help him try to find Garcia - and then come back and tell you there is no such man. Of course I may lose my bet, but according to the Law of Average, I will not. Now, if you are wise, you will not bother to explain to your "assistant" that Correggio is indexed under the C's, not in the K's, but you will smile very sweetly and say, "Never mind," and go look it up yourself. And this incapacity for independent action, this moral stupidity, this infirmity of the will, this unwillingness to cheerfully catch hold and lift -these are the things that put pure Socialism so far into the future. If men will not act for themselves, what will they do when the benefit of their effort is for all? A first-mate with knotted club seems necessary; and the dread of getting "the bounce" Saturday night holds many a worker to his place. Advertise for a stenographer, and nine out of ten who apply can neither spell nor punctuate - and do not think it necessary to. 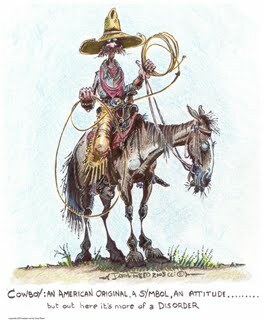 "Well he's a fine accountant, but if I'd send him up town on an errand, he might accomplish the errand all right, and on the other hand, might stop at four saloons on the way, and when he got to Main Street would forget what he had been sent for." We have recently been hearing much maudlin sympathy expressed for the "downtrodden denizens of the sweat-shop" and the "homeless wanderer searching for honest employment," and with it all often go many hard words for the men in power. Nothing is said about the employer who grows old before his time in a vain attempt to get frowsy ne'er-do-wells to do intelligent work; and his long, patient striving after "help" that does nothing but loaf when his back is turned. In every store and factory there is a constant weeding-out process going on. The employer is constantly sending away "help" that have shown their incapacity to further the interests of the business, and others are being taken on. No matter how good times are, this sorting continues: only, if times are hard and work is scarce, the sorting is done finer - but out and forever out the incompetent and unworthy go. It is the survival of the fittest. Self-interest prompts every employer to keep the best - those who can carry a message to Garcia. I know one man of really brilliant parts who has not the ability to manage a business of his own, and yet who is absolutely worthless to any one else, because he carries with him constantly the insane suspicion that his employer is oppressing, or intending to oppress, him. He cannot give orders; and he will not receive them. Should a message be given him to take to Garcia, his answer would probably be, "Take it yourself!" Tonight this man walks the streets looking for work, the wind whistling through his threadbare coat. No one who knows him dare employ him, for he is a regular firebrand of discontent. He is impervious to reason, and the only thing that can impress him is the toe of a thick-soled Number Nine boot.Of course I know that one so morally deformed is no less to be pitied than a physical cripple; but in our pitying, let us drop a tear, too, for the men who are striving to carry on a great enterprise, whose working hours are not limited by the whistle, and whose hair is fast turning white through the struggle to hold in line dowdy indifference, slipshod imbecility, and the heartless ingratitude which, but for their enterprise, would be both hungry and homeless. Have I put the matter too strongly? Possibly I have; but when all the world has gone a-slumming I wish to speak a word of sympathy for the man who succeeds - the man who, against great odds, has directed the efforts of others, and having succeeded, finds there's nothing in it: nothing but bare board and clothes. I have carried a dinner pail and worked for day's wages, and I have also been an employer of labor, and I know there is something to be said on both sides. There is no excellence, per se, in poverty; rags are no recommendation; and all employers are not rapacious and high-handed, any more than all poor men are virtuous. My heart goes out to the man who does his work when the "boss" is away, as well as when he is at home. And the man who, when given a letter for Garcia, quietly takes the missive, without asking any idiotic questions, and with no lurking intention of chucking it into the nearest sewer, or of doing aught else but deliver it, never gets "laid off" nor has to go on a strike for higher wages. Civilization is one long anxious search for just such individuals. Anything such a man asks shall be granted. He is wanted in every city, town and village - in every office, shop, store and factory. The world cries out for such: he is needed and needed badly - the man who can "Carry a Message to Garcia." 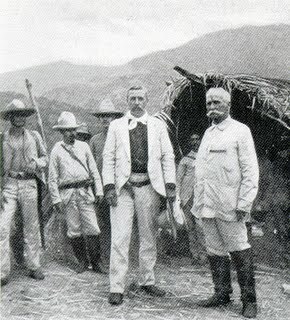 Andrew Summers Rowan (center) and General Garcia (right). I don't care what anybody thinks! Have you ever heard anybody say that? Have you ever said that? I know that I have. But when someone says that, do they mean it? Are they telling the truth? Do they even think about what they are saying or is it just a gut reaction? In my case, it was a true statement. I really didn't care what anybody thought. But only when I felt confident that what they were thinking, or saying about me would in no way negatively influence the expected outcome of the task that I was attempting to accomplish at the time. However, at other times, saying "I don't care what anybody thinks!" was just a gut reaction and I did in fact care what was being said about me. Or, better stated, I was concerned if what was being said about me would adversely affect my ability to achieve my goal. The focus was on getting the job done and pretty much nothing else.